Okay, really we don't have a vegetable garden. Although we desire to have one and contemplated putting one in when we were making plans for our yard, we decided this year just to plant a couple of things in a small bed and focus on some other areas because we knew a garden would take time we didn't necessarily have. 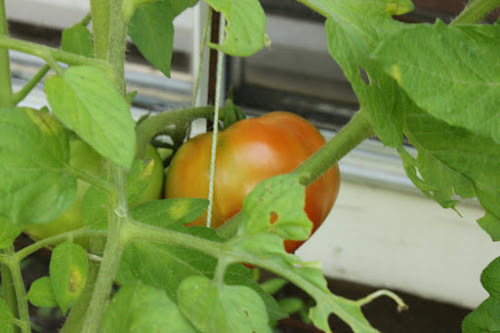 We planted some tomatoes. Is there anything better than fresh tomatoes? Yummmmm. 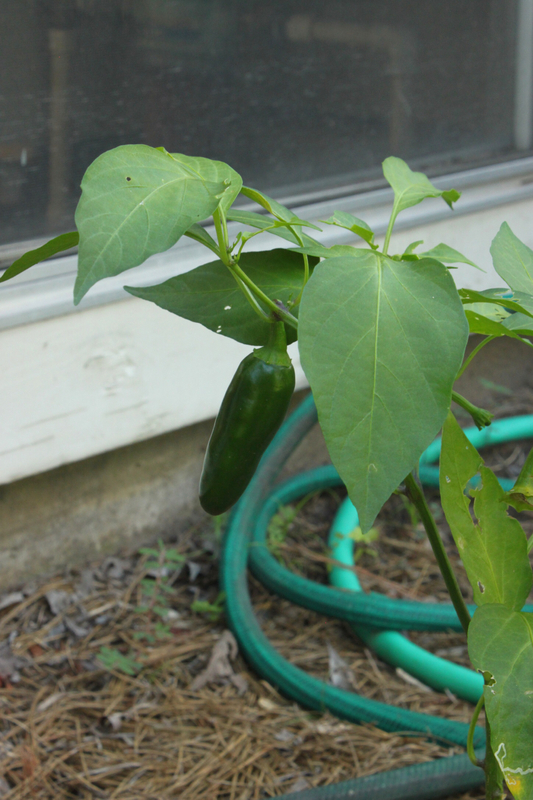 We also planted some jalapenos for salsa. (My go to recipe is here ). We have a lemon tree and a fig tree, both given to us by friends. We don't see any fruit on the fig tree so we are thinking it will be another year before we get to enjoy them. The lemon tree is doing well, one benefit of all of the rain. 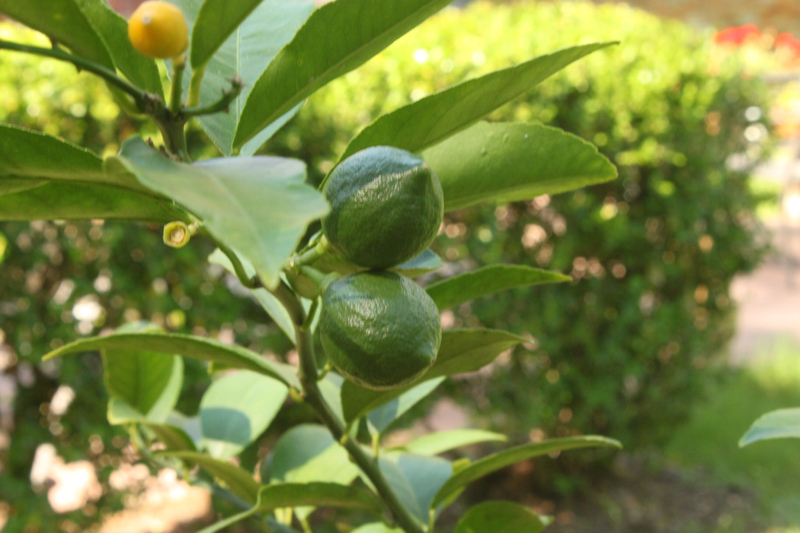 Here is my question, there seems to be two rules of thumb on citrus trees. One is to pull all of the fruit off for the first couple of years and one is not. Any gardeners with suggestions and the reason why? We are going to let it produce and see what happens unless I get a really good reason to pick those cute little lemons off! I am already dreaming of a larger vegetable garden next year and I also want a herb garden. We have the spot all picked out. We are also composting. We don't have a barrel, Wonderful and I turn it by hand. 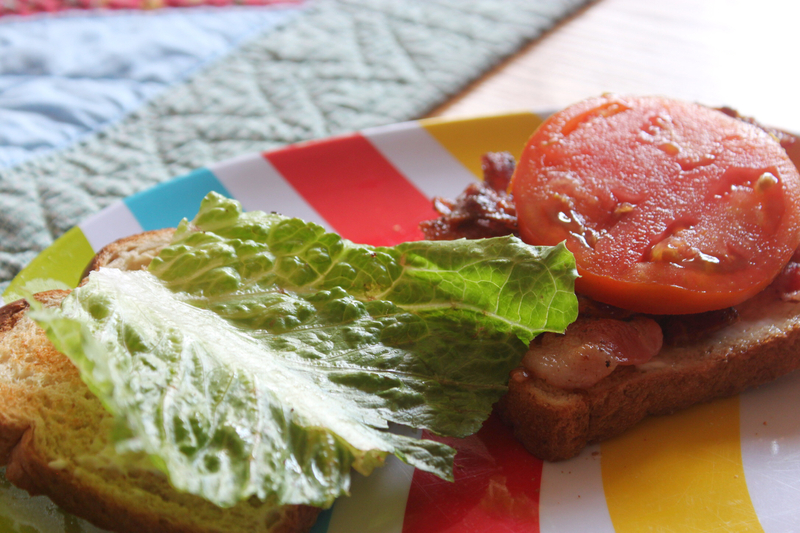 Last night we enjoyed our first BLT of the season with a home grown tomato, the perfect summer meal!